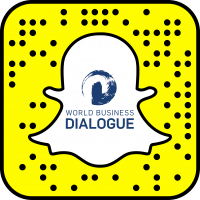 Delegates of the Dialogue is a photoblog series of interviews and portraits of former Delegates of the World Business Dialogue. In the light of our purpose to enable relationships and professional advancement, we were asking ourselves the questions, what actually happened to former Delegates from 15, 10 or a couple of years ago? DoD is a project, which serves as a possibility for inspiration for future Delegate. An opportunity to look back in the history of the WBD in order to materialize what brought and will bring so many heterogenous people from all over the world to Cologne. It is our purpose to show the different personalities and individuality of the participants. Every two weeks we will present one delegate on our social media channels in order to find out more about his or her motivation for actually joining the WBD. Get to know more about the personal impact of the Conference and to hear about their experiences during this time and what advice can be given to the future generation.